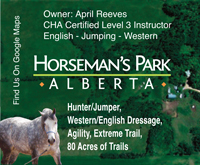 Horseman’s Park Alberta was created for riders who are looking for an alternative in their training and pleasure riding. The Park provides a continuous landscape of forests and hay fields, with large and some smaller hills, flat areas and numerous trails. It is an excellent training ground for conditioning for performance and is constantly groomed and harrowed for any holes and uneven surfaces. In July, the hay is cut and the entire property is open for riding. Before July there are trails around each of the four small hay fields that connect with the secondary trails and pathways. – The Flats: a 3 acre grass training field complete with stadium jumps and exercise poles. We are currently building an 80 x 180 sand arena with covered viewing, plus cross country field for 2019. – 80 acres of trails and open fields and hills, all groomed to allow complete training enjoyment. $300 month (hay, grass fields, large paddocks, shelters). 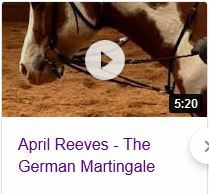 Stalls available for shows or injured/sick horses. 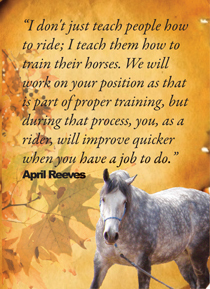 All horses are worked every day, whether it’s riding or groundwork or in-hand. We cover colt starting to refinement work for show or pleasure.